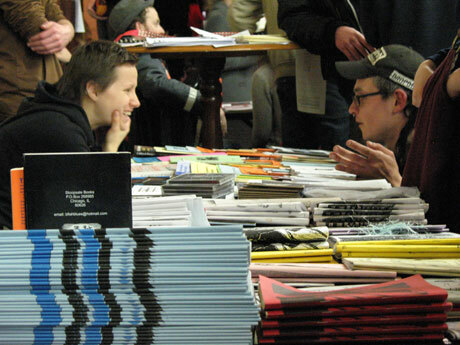 Since the first London Anarchist Bookfair in 1983, these events have been held around the world, spreading the vibrancy, history and diversity of the anarchist movement. 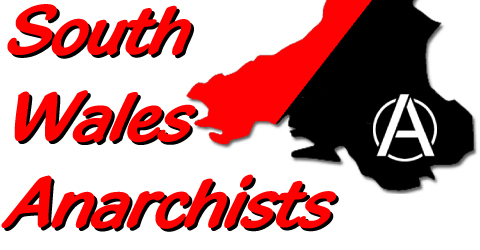 The first Cardiff Anarchist Bookfair will feature talks, discussions and a space to network as well as stalls with books, magazines, newspapers, DVDs, CDs, t-shirts, badges and more, with contributions from local, national and international organisations, distributors, publishers, campaigns, activist groups and other anarchist collectives. 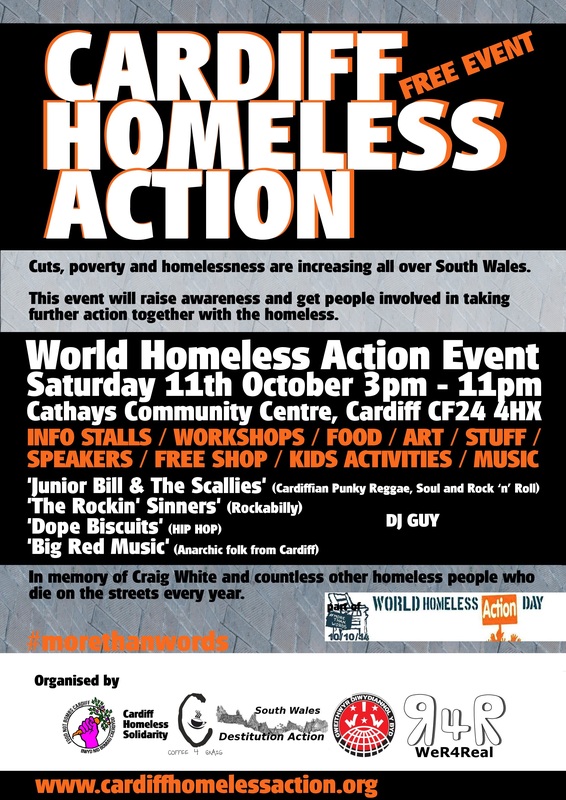 After experiencing the movement we’ve got, the day will close with a panel discussion on ‘the kind of Anarchist movement we want’. Everyone with an interest is invited to contribute. Free. In more ways than one. 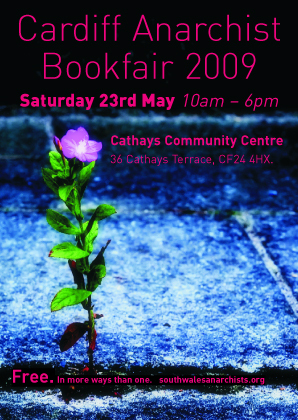 Limited spaces available for stalls & workshops – deadline 1st April.